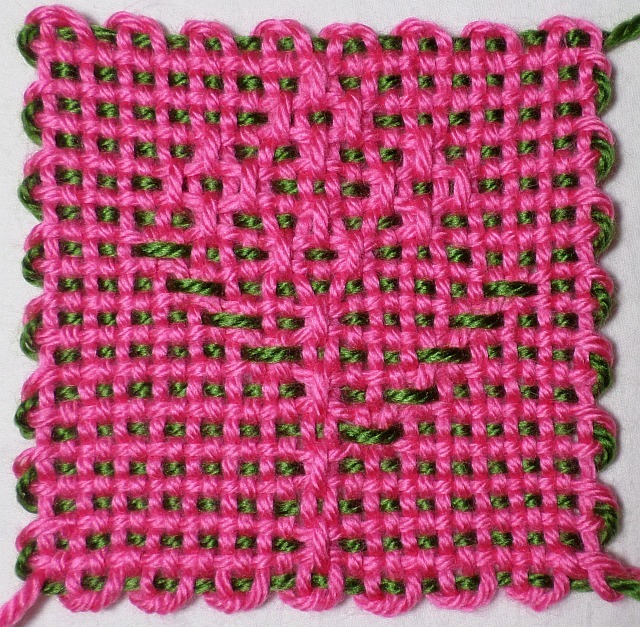 This version of the pattern is appropriate for this warping configuration (L1-3/L4). If using a single color, you may also use this rewritten version or the one just below. Blue stitches are O3. Light blue stitches are optional.